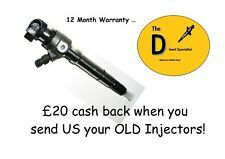 A2C59513554 03L130277B Fuel Injector Volkswagen 1.6TDI Reconditioned. The specification is referred to as SAE J30 R9, and is used on modern fuel injection vehicles, it is designed to withstand modern unleaded fuels. Over recent years, fuel at the pump has been replaced with a grade referred to as E5. Fits Injector number: 03L130277B / 5Ws40539 / A2C59513554. 4 x Injector Base Washer 13.0 x 7.3 x 2.5 mm. 4 x Injector Body Seal. View Our Categories. Newly Listed. Part Numbers: 1K0906627A. Turbo Solenoid N75 Valve. VW TRANSPORTER Mk V Flatbed / Chassis (7JD, 7JE, 7JL, 7JY, 7JZ,2003.04 - /. VW TRANSPORTER Mk V Box (7HA, 7HH, 7EA, 7EH)2003.04 - /. VW TRANSPORTER / CARAVELLE V Bus (7HB, 7HJ, 7EB, 7EJ, 7EF) 2003.04 - /. ). £ 169.60Buy It Now. CLHB; CRKA; CXXA; DDYB. ENGINE CODE. ENGINE SIZE. CBDB; CJAA; CFHC; CLCB. 07.09 - 07.13. 01.10 - 07.13. Thermostat Housings. VW Bora [1998-2005]. VW Golf MK4 [1997-2006]. VW New Beetle [1998-2010]. VW Sharan [2000-2010]. Ford Galaxy [1995-2006]. 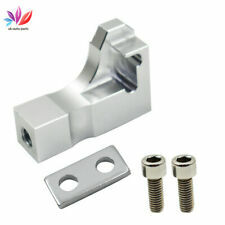 The Part will fit the following OEM Part Number. 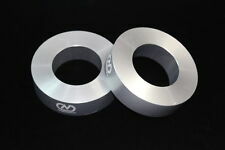 COMPATIBLE PART NUMBERS: 038906051C. 1 x Manifold Air Pressure Sensor. AUDI A2 (8Z0) 1.4 TDI 11.03 - 08.05 66 90 1422. AUDI A3 (8L1) 1.9 TDI 08.00 - 96 130 1896. AUDI A3 (8L1) 1.9 TDI quattro 08.00 - 96 130 1896. ITEM NUMBER C889. VW GOLF MK2 1.8 GTI 8V & 16V. 4 NEW FUEL PUMP HOUSING MOUNTS. 4 x FUEL PUMP MOUNTS. PART NUMBERS: 3C0145117H. FOR MODELS: AUDI VW. IMPORTANT: AUDI AND VW MOST MODELS. GENUINE products. BOSCH PDE INJECTOR SEAL. VW VOLKSWAGEN TRANSPORTER 1.9 TDI. FOR: AUDI / VW / SEAT / SKODA. REPAIR KIT. 0 414 720 225 / 0 414 720 226 / 0 414 720 227 / 0 414 720 228 / 0 414 720 229 / 0 414 720 230. VW Transporter/Caravelle T4 2.4D Diesel 1996-2003 ( 75bhp 78bhp models AAB, AJA engine codes). VW Transporter/Caravelle T4 2.5 TDi Diesel 1996-2003 (88bhp 102 bhp ACV, AJT, AUF, AXL, AYC, AYY engine codes). VW / AUDI P/N : 035906149A. Seat Lean 1.8T 1998,1999,2000,2001,2002,2003,2004,2005,2006. Do you have leaking Injectors?. are the seals around the top of injector housing wet?. If so you need these. Audi TT 1.8T & 1.8T 225 bhp 1998-2004. 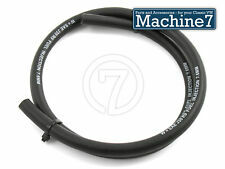 COD 7.9 CODAN SAE J30 R9 Fuel Hose With A Bore of 7.9mm. MADE BY CODAN RUBBER OF DENMARK. SAE J30 R9 Is The Highest SAE Specified Grading Available For Petrol Fuel Lines. This Fuel Hose Has Been Designed For Use With Modern Chemically Aggressive Bio-Ethanol Enriched Petrol Formulations (E5 & E10) As Per Currently Served Petrol Pump Petrol. 19mm Pump jet diaphragm now has the correct ball bearing height and inner spring of 2 KG of force. Option of 13mm or 19mm pump jet diaphragm push rod. ITEM NUMBER A451. VW T2 TRANSPORTER, CAMPER & VAN, 1500cc & 1600cc. VW T1 BEETLE 1300cc, 1500cc & 1600cc. SUITABLE FOR FROM 1964 TO 1979. Reference OE/OEM Number: 03L130277B / 03L130277C / 03L130277S / A2C59513554 / A2C96260400 / A2C9626040080 / 5WS40539 / 03L-130-277B. AB30-38, AB44-56, BT, FK17-21, G83, GY, HS 1-9, IM, IV,JE, KA 27-28, KW, PA 20-99, PH 15-32, PH 49-99, TR 21-25, ZE. 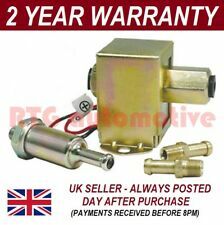 BOSCH(OEM) Fuel Tank Purge / Breather N80 Valve for Many VW, Audi, SEAT & Skoda Models. 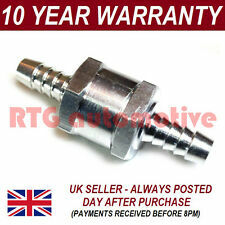 Classic VW Beetle Fuel Tank Outlet Elbow 6mm, with Filter & Nut, Bug 62- Bus -75. 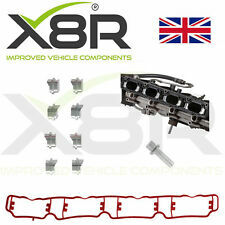 Suitable for Beetle 60-79, Karmann Ghia 60-47, Type 3 62-67, Splitscreen 60-67, Bay Bus 68-74. Machine7 specialise in Parts, Spares and Accessories for all Classic VW Air-Cooled models. 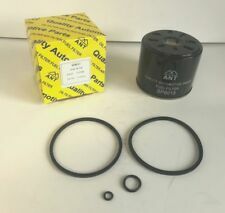 "These very popular oil breather filters can be used to help vent off any excess oil pressure from your engine case, and thus help to reduce oil leaks from your engine. 1x Oil Breather Filter. 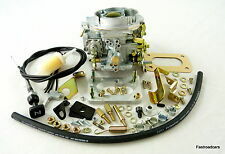 Machine7 specialise in Parts, Spares and Accessories for all Classic VW Air-Cooled models. 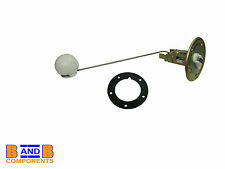 IN TANK FUEL PUMP 76407. PASSAT (3A2, 35I). PASSAT Estate (3A5, 35I). VW Scirocco. VW Corrado. 1.8 G60 Petrol 1987-08 - 1995-12 1781 118 160. 1.8 GTI Petrol 1974-04 - 1985-12 1781 82 112. 1.8 Petrol 1979-01 - 1993-08 1781 82 112. Reference OE/OEM Number: 06B906051 / 0261230031 / 6PP009400261 / 06B 906 051 / 6PP009400-261. Category: MAP Sensors. AB30-38, AB44-56, BT, FK17-21, G83, GY, HS 1-9, IM, IV,JE, KA 27-28, KW, PA 20-99, PH 15-32, PH 49-99, TR 21-25, ZE. ITEM NUMBER C565. VW T4 TRANSPORTER, VAN & CAMPER FROM 1990 TO 2003. A NEW FUEL FILTER BLEED VALVE. VW CADDY PICKUP FROM 1990 TO 1992. VW CADDY VAN (ENGINE CODES 1Y & AEY ONLY). 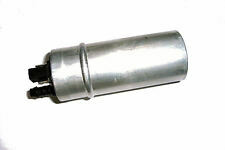 1 x FUEL FILTER VALVE SHOWN IN THE PICTURE. 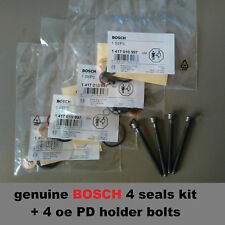 4 X INJECTOR SEAL KIT AND BOLTS FOR BOSCH PD TYPE INJECTOR. VW GOLF 2.0. (Genuine Bosch). OEM Number - Bolts 038103385A. 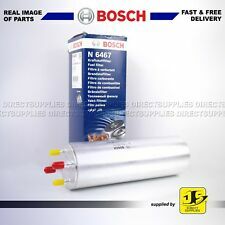 FOR: AUDI / VW / SEAT / SKODA. 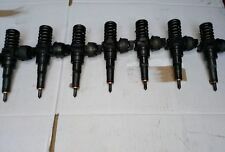 For injectors 0 414 720 124 / 0 414 720 131 / 0 414 720 210. VW Golf Mk5 V 1.9 TDi 1896cc Diesel 2003-2009 (BKC, BLS, BRU, BXE, BXF, BXJ ENGINE CODES). 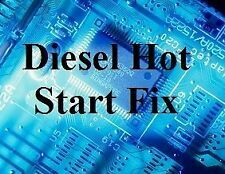 Fully reconditioned diesel Injector with new Nozzle & code. Supplied with new Washer and Code. 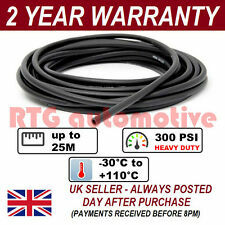 Either by constant use where the accelerator cable has worn a groove in the end or by being bend out of shape due to various engine changes?. If so then this can have a negative impact on your accelerator and cables, making it stiff to use and them wear out cables quickly.